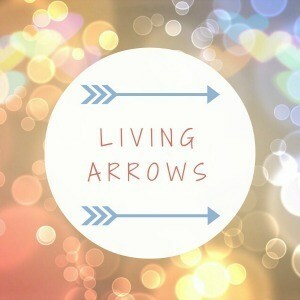 Our first venture into the Living Arrows Link Up and we begin with an exploration of bravery in childhood. I was a timid child, afraid of everything. Iris is not a timid child. Her courage amazes me. She is fazed by nothing. The smile cannot be wiped from her face (except when you are actually wiping her face!). She is the most content, happy and confident child I've ever met and I don't know how it happened. It has been genuinely unexpected. I have struggled to find even the tiniest shred of self confidence throughout the majority of my life so the fact that a child can be born with an overflowing self assurance astounds me. I am even more surprised that I can produce such a child (that's the lack of self confidence at work). Case in point, as a child I was petrified of 'characters'. I would cling to my mum whenever we went anywhere near one. I still get a flutter of anxiety now. Iris has not inherited this fear. 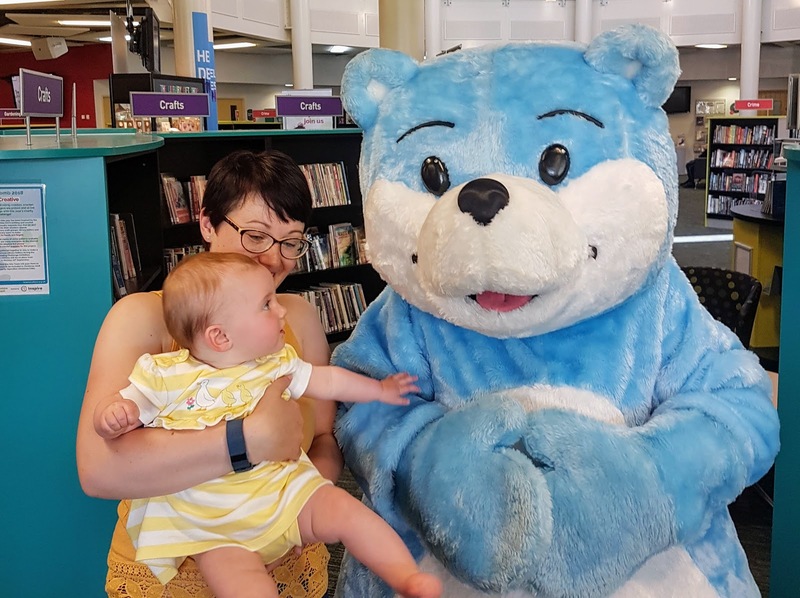 This week we went to our usual library sing along session but this week there was an extra special guest. The Bookstart Bear was joining us to celebrate National Bookstart Week. I expected Iris to show, at the very least, a hint of hesitation but instead she was yelling with the older children and when that giant blue bear started to bumble his way through the crowd I thought she may take off she was flapping so fiercely! She was mesmerised by the bear and I was mesmerised by her bravery. The Living Arrows weekly link up invites you to share a post that celebrates childhood. Click the badge below for more information.